The Common Application was developed to help streamline and standardize the college applications process by making one application that would be accepted by a wide range of schools. Currently, it is accepted by over 400 schools, and requires a minimum of one essay and letter of recommendation; individual participating institutions may require more. The best thing about the Common Application is that you can send it to as many schools (that accept it) as you like, and only have to fill it out once! While it’s free to access and complete the Common Application online, be aware that many schools do charge an application fee before the application can be processed. Similar to the Common Application, the Universal Application operates on the same principles as a streamlined college application that can easily be sent to a range of participating universities and colleges. Currently, there are over 75 institutions that accept the Universal Application, and the requirements for the Universal Application are less rigid than the Common App – for instance, not all colleges that use the Universal App require essays. 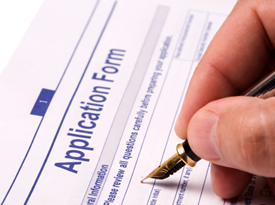 Keep in mind, however, that the more you can send in your application, the more you will stand out. Because the Common and Universal Applications are just that – common and universal – to a wide range of schools, sometimes individual colleges and universities have their own questions they’d like you to answer for them as they review your application. Be sure to check the school’s website for any application supplements they may have that you should submit alongside your main application, as your application may be considered incomplete until these materials are in. Sometimes, schools not using the Common or Universal Applications will have their own specific applications, which can generally be found through their website and either submitted online or mailed in – and sometimes, schools will accept either the Common or Universal app or their own school-specific one. In cases where both are accepted, it usually doesn’t make a difference which one you submit, but it’s a good idea to call the admissions office and see if there is a preference. Hopefully you now have a better idea of the three major college application types. If you still have questions please don't hesitate to request a free consultation with the professionals at College Bound Academy by clicking the button below.